Welcome to this week's Finance Fridays. Last week we were talking about the how the interest rate cut affects mortgages. 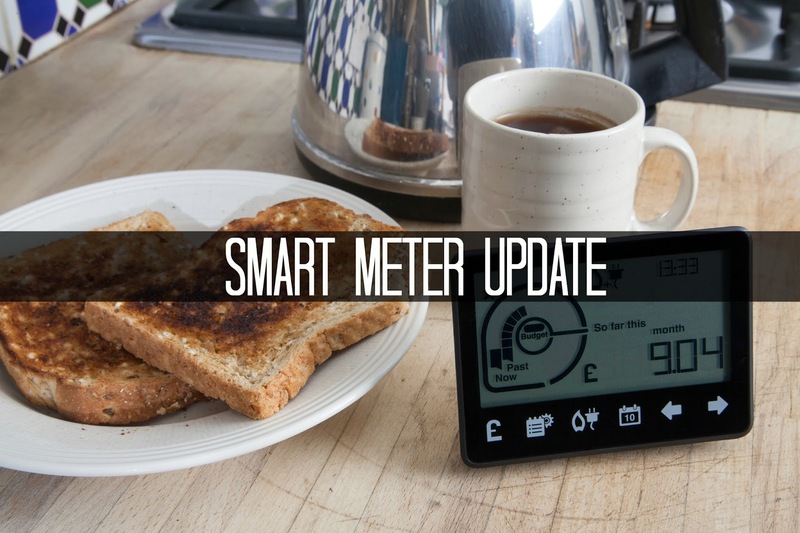 This week we are looking at how people are getting along using their smart meters. Currently Smart Energy GB are helping energy customers in Great Britain to understand how smart meters work. By 2020 everyone in Great Britain will be able to have a smart meter at no extra cost in order to keep track of their energy bills. Smart Energy GB have been keeping track of how people are getting on using their smart meters and the effect they have had in helping people manage their energy use and reducing bills. According to the latest findings from the Department of Energy and Climate Change the average domestic electricity bill across all payment types in 2015 was £584 with gas going up to £761. That means a large percentage of running a home is spent on keeping our homes warm and using electricity for lighting, domestic appliances plus TVs and charging phones and tablets. With such a large spend it makes sense to save money where we can. The latest edition of the Smart energy outlook has found that 80% of people with a smart meter have taken at least one step to reduce their energy use. With the in-home displays (IHDs) the small things such as turning off lights and TVs are noticeable. The best recommendation you can have of a product is if a friend or family member can recommend it. The research carried out by Populus has found that 79% of people who have already got a smart meter would recommend them to others. As with any device the IHDs can seem a bit of a novelty at first. The main benefit of them is that you can see in near real time what you are spending on your energy consumption in pounds and pence. Of those who have had an IHD fitted 78% of them find they are still checking the display on a regular basis each month. Checking that IHD has its benefits as 87% of people who have had an IHD fitted with their smart meter say they have a better idea of what they are spending on energy. This is compared to 69% of people who have a smart meter but haven't taken up the offer of having an IHD as well. With over 3.5 million smart meters now installed across England, Scotland and Wales it's interesting to see how well received they have been. If you are wanting to get a smart meter installed you can find the the details here. Have you got a smart meter? Do you think it can help to keep track of your energy usage? If you want to join in with this week's Finance Fridays then add your link to the linky below. Any post concerning financial matters is allowed. Full details here. It doesn't have to be published today as you have until 23.55 on Tuesday 23rd August 2016 to join in. My parents were offered one, but I'm not sure it would have been a good idea for them. They are reasonably frugal about lights and things being switched off. I don't want them to scimp on heating though. I think I'd be shocked if we had a smart meter - although I suspect I'm exactly the sort of person that needs one as I always leave stuff on stand by. Eek! We had one from our last company and it was quite surprising watching our energy usage. We sorted out a budget and managed to stick to it. I'd be interested to know exactly how much power we use. We're pretty frugal when it comes to using power in our home, but never really sure. I want one of these! I run the dishwasher almost everyday and our phone and other devices are constantly plugged so it would be very good to know how much we are actually spending per day. Do they have a scheme for Northern Ireland, you think?